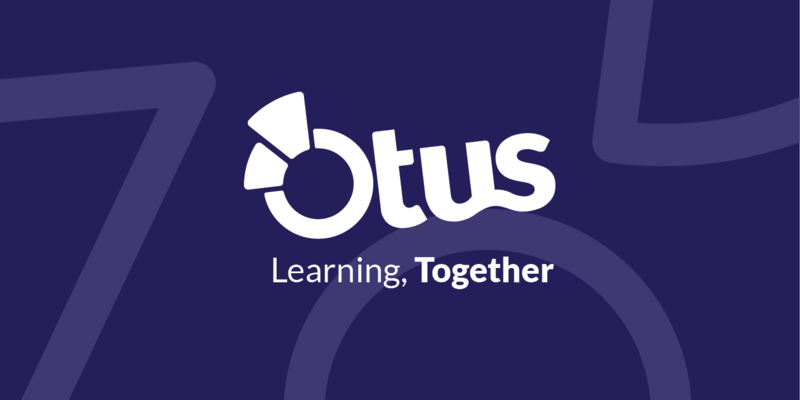 How Otus uses the idea of "Learning, together" as an internal and external marching cry. When I first heard those two words as a potential tagline, it immediately resonated with me. First, I think it works internally, serving as a strong rallying cry for our team at Otus. It has nothing to do with software, per se, and everything to do with working and learning together as a team. Sometimes work isn’t fun. Sometimes you disagree. We all make mistakes, which can be expected when you are building a company and software like none other before it. But we all want to learn together so that we will be better tomorrow and not make the same mistakes. Instead of being punitive, “learning, together” is about constantly improving, keeping the lines of communication open, and sharing the lessons we learn along the way. Being in edtech, these words are meaningful externally as well, and they reflect what Otus does in a variety of ways. In a school setting, we are all one class, and we are all learning in that class. No two students learn exactly the same, but that’s a good thing — even if we learn differently, we’re still learning, and we’re all together. Tangibly, what Otus does is bring disparate learning, assessment, classroom and data management tools together. Education is awash in new and legacy edtech tools these days, but when those tools can’t speak to each other, they end up creating new headaches for teachers. Otus is built on the idea of interoperability, making things easy for teachers to have all their tools, resources, and information on students in one place and to save time that can be better spent helping their students. Finally, we pride ourselves in connecting the greater school community. Teachers, administrators, students, and parents all play a vital role in successful education, and Otus is meant to be a platform to serve the needs of each of these groups. By providing a place to enhance communication between all of those groups, we want to ensure that they can all play an active role in improving the process of student learning, together. Of course, “together” is only possible with partners, and we’ve been thrilled to see more and more schools districts partnering with us. Last year at ISTE, we had about 30 school districts using Otus. Today, we have more than tripled that number welcoming school systems of a few hundred students to school systems with tens of thousands of students. And, we are switching school systems from traditional LMSs, assessment platforms, and data warehouses with 50% of our new clients. We take that as a sign that school communities want to be unified, and they want to learn together.